A wildlife corridor is a continuous swath of natural and agricultural lands. These corridors are critical to maintain the quality of our water, forests, and wildlife in a rapidly changing environment. Keeping landscapes connected via habitat linkages or corridors is the most frequently recommended approach to maintain ecosystem resilience in the face of climate change as it provides an “escape route” for plants and animals to relocate when their habitats are no longer viable. Linking also allows resources, like water and nutrients, to pass between habitats that are increasingly confined by human development to maintain ecosystem health for humans and wild residents. Clean and abundant water: Connected creek corridors protect our streams and groundwater. Reduced wildfire risk: Well-managed forests have less fuel to carry and spread flames. Climate change resilience: Plants and animals can move through corridors to cooler places. Room to roam: Connected landscapes maintain healthy flows of plants, animals, and resources. Map of M2B project Focal Corridors by Morgan Gray. 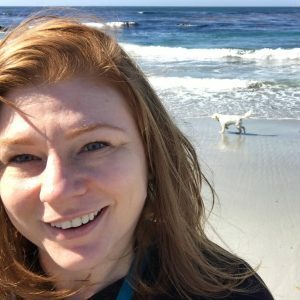 Data sources: California Protected Areas Database. Successful climate change adaptation requires building social and physical landscape linkage networks, and cultivating a shared understanding of how land use and climate change will influence future connectivity. 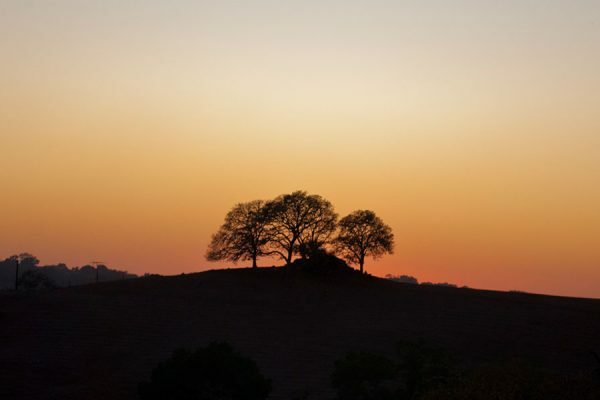 The Mayacamas to Berryessa Connectivity Network (M2B) is a collaboration of scientists and land managers that works to preserve the health of land, water, and plant and animal life across 10 counties in Northern California’s inner Coast Ranges. 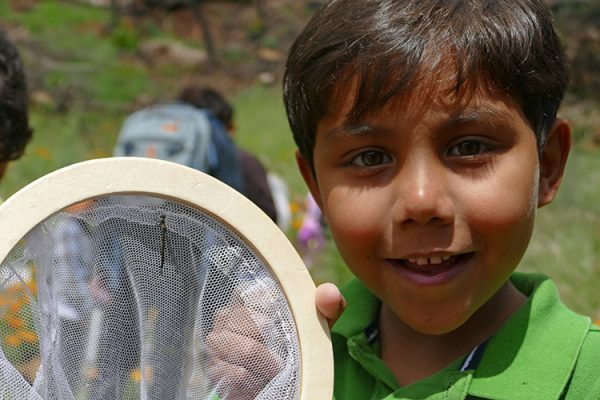 Between 2017 and 2018, M2B conducted a climate connectivity assessment to determine the existing state of habitat and watershed health throughout the region spanning the Mayacamas Mountains to the new Snow Mountain-Berryessa National Monument. The assessment also identified existing corridors that are important to provide resiliency in the context of a changing climate and expanding human populations. The result of our work is a series of high-resolution maps that illustrate corridors—across land and along streams—and show how each corridor enhances landscape resilience to climate change. Our data were informed by critical input from local conservation practitioners, by directly involving stakeholders in the modeling process and evaluation of results to ensure that our data and maps are relevant to actionable conservation on the ground. To build these maps, we first created computer models using habitat, stream, threat, and climate datasets mapping to identify and classify specific land parcels key to habitat connectivity. We used these models to evaluate landscape connectivity and predict optimal corridors to connect habitat patches between protected areas. To inform corridor identification, we compared the vulnerability of specific sites to fire, drought, and other environmental concerns with their contribution to the overall ecological health of the region. We then calculated the climate benefit of each linkage by estimating the ability of species to escape rising temperatures via corridors based on state-of-the art, high-resolution climate projections. The resulting maps make it easier to identify priority sites for conservation and restoration, and provide local decision-makers with adaptable science-based tools for exploring, planning, and implementing habitat connectivity pathways. 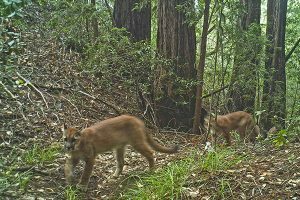 Mountain lions move through the landscape at Pepperwood, photo by motion-activated camera. The M2B approach is designed to be scalable and reproducible throughout the state of California, and provides a model framework that can be refined and expanded to enhance connectivity and climate resilience within and across county boundaries. Our data, methods, and messaging materials are freely available, and can be used by other agencies and their partners to design and implement projects that account for conservation value, connectivity, and resilience to climate change as part of the land management process. In this way, we aim to synchronize the timing of connectivity science and outreach, a recommended approach to reduce delays in enacting connectivity plans and their implementation. Most conservation initiatives to protect and enhance landscape and watershed health in the San Francisco Bay Area happen through parcel-scale acquisition and stewardship, largely advanced by private land trusts and public open space districts in concert with State and Federal land management agencies. The corridor reports developed to address site-specific habitat corridor projects bridge our regional analyses by providing tools to support local action that can be replicated elsewhere to advance on-the ground climate resilience throughout the Bay Area. These reports contain numerous and diverse data visualizations scaled to the areas of interest, and provide parcel-scale assessments of up to hundreds of individual parcels comprising these key corridors. This information provides the opportunity to target and/or evaluate specific acquisition or stewardship opportunities and a wealth of information to promote project implementation on the part of partners or investors, with a unique focus on climate adaptation value. Given that many funders are interested in investing in climate resilience, this information will raise the priority of identified corridors. One of the most interesting things I learned during the project was the importance of seasonality on temperature in the Bay Area – a place with a strong coastal influence, diverse topography, and many microclimates. There was a clear difference between trends for summer and winter, which means that the coolest locations in the summer were different than the coolest places in the winter. Overall, cooler summer temperatures were found coastward, whereas the cooler winter temperatures were found inland and upslope. This result highlights the importance of accounting for seasonality in connectivity planning to make sure the lands we protect can meet the climate needs of wildlife year-round. 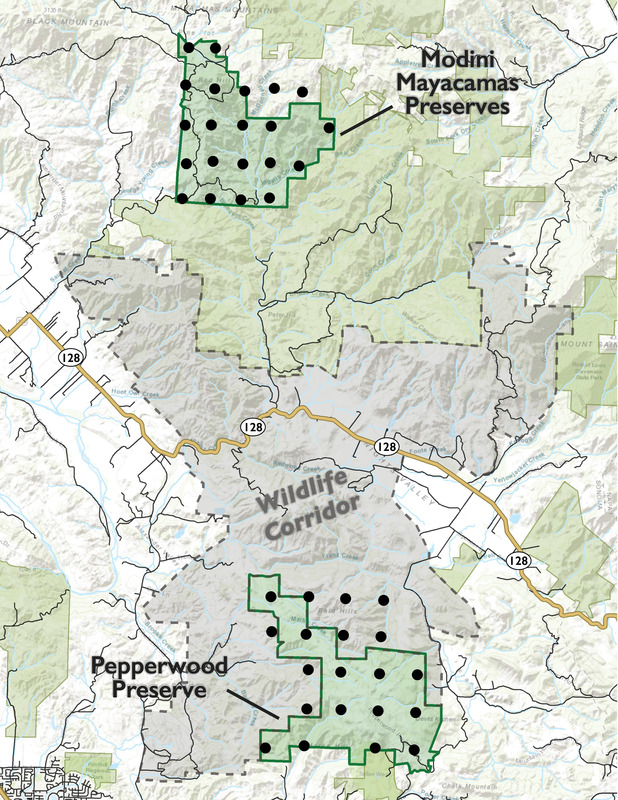 This map shows one of six potential wildlife corridors identified in the study. 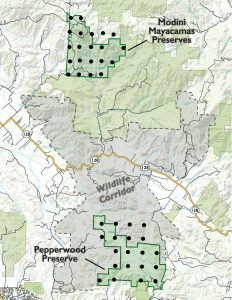 Black dots indicate motion-activated camera arrays at Pepperwood Preserve and Modini Mayacamas Preserves approximately eight miles to the north. Given the influence of topography and the ocean coast on temperature, the climate vulnerability assessment could be improved by capturing seasonal temperature nuances across a larger spatial extent – specifically from the Pacific Coast to the inland mountains. We are partnering with the Golden Gate Biosphere Reserve and the Large Landscape Peer Exchange to develop a strategy for a regional climate connectivity assessment that would expand the footprint of the M2B products across the greater Bay Area, enabling us to capture seasonal temperature changes from coast to crest. 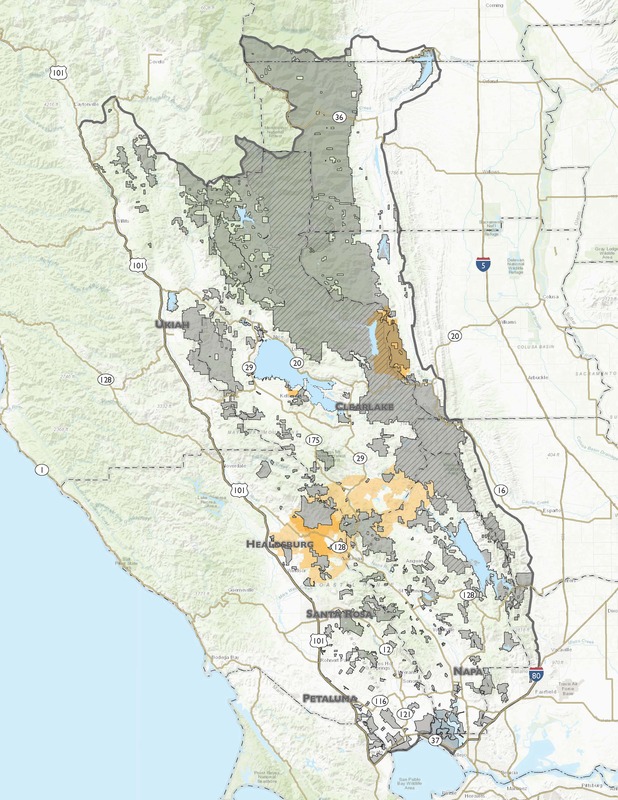 A Bay Area-wide climate connectivity roadmap would enable local agencies and their partners—across 10 counties and 6,900 square miles—to work more effectively, and in a more coordinated fashion, to achieve landscape-level conservation objectives across county boundaries. These objectives include design and implementation of on-the-ground projects that account for conservation value, connectivity, and resilience to climate change as part of the land management process. One of the six focal corridors that emerged as a priority location for connectivity by the M2B team was a 3-mile-long swath of land between Pepperwood Preserve and Modini Mayacamas Preserves. Although made up of mostly rural land, the corridor is bisected by State Route 128. The next stages of implementation will answer questions about corridor use by wildlife and road ecology using data collected by wildlife cameras. Photographs from existing camera grids at both preserves and installation of additional cameras along State Route 128 will be used to determine the composition, abundance, and diversity of animals in corridor, and evaluate the influence of roads on animal movement between the preserves. Given the recent devastation caused by drought and wildfires throughout Northern California, the time is now to protect our already fragmented habitats from the clearly catastrophic effects of climate change. 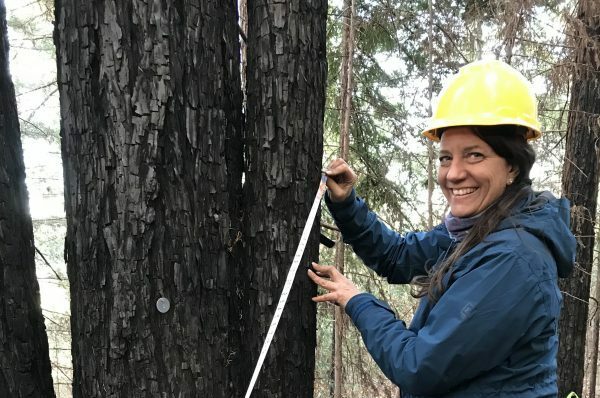 A landscape-level approach to forest management, with a focus on reducing accumulated fuel (e.g., understory vegetation that has built up in the absence of fire), will be needed to coordinate across jurisdictions and land ownerships. It is an unanticipated outcome that habitat corridors identified by the M2B network could now also serve as vehicles for fire resilience planning and implementation. Specifically, the linkages and corridors are being evaluated through the lens of improving regional fire resilience to enhance climate adaptation, including elements such as forest thinning, fuel breaks, and emergency access and implementation. Thx Morgan!! We really enjoyed your talk at Forest Unlimited a couple years way back. Keep upthe good work!! !